Swiss Giants Pansy mix-( Viola x wittrockiana)-An excellent open pollinated strain of giants with a large variety of colors. They grow 8-12 inches in height. Outstanding small flowering plant for the shady garden. 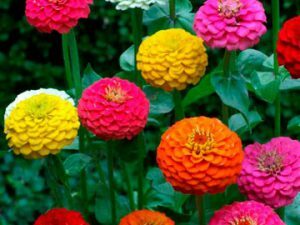 Bushy plants produce showy large velvety flowers in a wide range of colorful shades. Ideal for bedding, rookeries, spot color or as cut flowers for arrangements. Although pansies are not fussy plants, they will grow best in a loose, rich soil with a slightly acid pH (6.0 – 6.2). 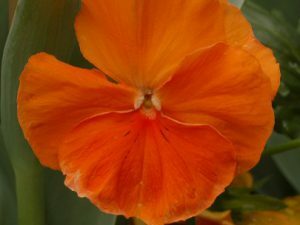 They flower best in full sun and will get spindly in deep shade. Pansies do not like heat at all and will begin to decline as the days warm up. 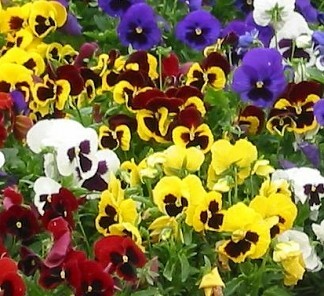 Regular watering will help them hang on a bit longer, but don‰Ûªt expect your pansies to last all season. 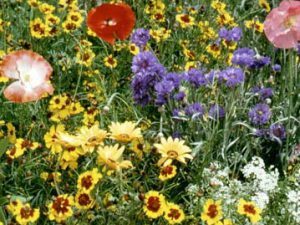 Plan your growing for early spring to early summer or fall into winter. They require cool temperatures (60 – 65 degrees F.) And darkness, to germinate. Covering the soil with black plastic will help germination, but the soil should be checked daily to make sure it doesn‰Ûªt dry out under the plastic. Once the shoots are visible, the plastic should be removed. 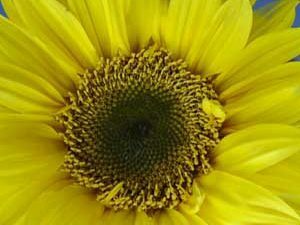 Seeds generally germinate in 1-2 weeks, but allow 15 weeks from seeding to bloom.